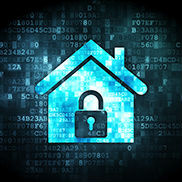 Secured Alarm Systems is a Limited company specialising in electronic security. We operate out of a Swansea based office but cover the whole of the south west of the UK. We offer an extensive range of skills and products including Intruder Alarms, Access Control Systems, CCTV and Fire Alarms to name but a few. Our conscientious engineering staff are always available to offer support and advice via our 24 hour call out service. We are a member of the National Security Inspectorate (NSI), the security industry approval body, BAFE (British Approvals for Fire Equipment) as well as being a registered company with Constructionline. Our staff are fully trained in health and safety having passed the Construction Skills Certification Scheme examination enabling them to work efficiently and safely. 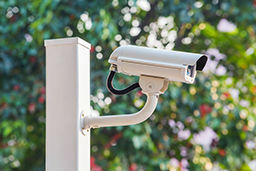 We design CCTV systems for both commercial and residential properties and supply, install and maintain the most appropriate CCTV system for your needs to provide the most effective deterrent of criminal activity at your premises. All our CCTV systems are installed to NSI and European Standards ensuring that you get the best possible CCTV system installation and service possible. For a no obligation quotation please contact us to book a site survey. 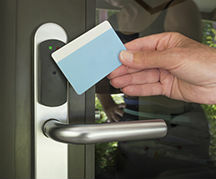 Our access control systems are designed to meet your individual requirements, restricting employees or visitors access to a building or room, ensuring only authorised individuals gain access, and preventing unauthorised entry/exit. 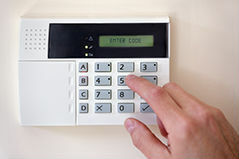 An electronic access control system determines who can enter/exit, where they can enter/exit, and when they are permitted to enter/exit. The system will record all transactions to enable a list of access attempts to be produced. Our access control systems are all designed, installed, and maintained to NSI and European Standards ensuring that we work to the highest industry standard. From a single door, to complex multi site system, call today, for a no obligation site survey and quotation. Secured Alarm Systems design, supply, install and maintain professional intruder alarm systems for both domestic and commercial premises. In the event of an activation, Intruder Alarm Systems can sound an external sounder, contact your mobile or alert the monitoring station and police. All our Intruder Alarm Systems are installed to NSI and European Standards ensuring that you get the best possible Intruder Alarm System installation and service possible. Our audio/video entry systems are used to manage calls made at the entrance to a building, with access controlled by the person indoors. 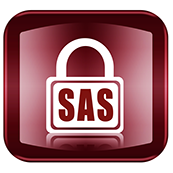 The system enables the individual inside the building to verify the identity of a visitor prior to allowing access into the premises. Secured Alarm Systems provide a wide variety of audio/video entry control systems for both small domestic and larger commercial premises. Systems can range from a single call system with one entrance, to 100’s of calls and multiple entrances within the same building, allowing each individual user to authorise access through an electronically locked door. In most circumstances a door entry system can be integrated with other security systems, such as, fire and security alarms, and automatic door arrangements; which can be especially beneficial to the elderly and disabled. For a free, no obligations quotation, please do not hesitate to contact us.